Get Two Wheeler on Rent in Goa at best price with Rent My Bike - Call Now! Two wheeler on rent in Goa for Goans and tourists: Two wheelers on rent in Goa is a service to contribute to Goa’s transportation system. Tourism is the industry that has major contribution to Goa’s economy. Foreigners comes to visit Goa in winter season and people of various states of India come to visit goa in winter and summer. Apart from that Goa’s other income sources are mining, agriculture, beer, cashew nuts, textiles etc. Goa is one of the richest state of the country hence its transportation needs to be in a good shape. It is observed that most of the foreigners prefers to stay in Goa for months and they like to take self-rides to roam around the city. Not only foreigners, even Indians tourists like to roam in Goa on bikes and they search for two wheelers on rent. Keeping the demand on mind the Activa on Rent in Goa have come up with a service that allow people to hire a bike on rent on daily or on monthly basis at cheap rates. There are two ways to get a two-wheeler on rent from Two wheelers on Rent in Goa. You can either dial our number that is+91 22 6836 3333 or download Two Wheeler on rent app online. Our professional guys will help you to understand the booking procedure and the terms and conditions of the service as well. It is important to notify you that if any damage takes place during the time of your possession, we will charge you for the same. If you want to possess the two-wheeler for few hours, our boys will deliver it to your place and collect it from you after you finish your riding. In case you need to possess the bike for a few days or months, you have to pay a certain amount of money to us in advance. Rest of the things will be elaborated to you once you reach at us. 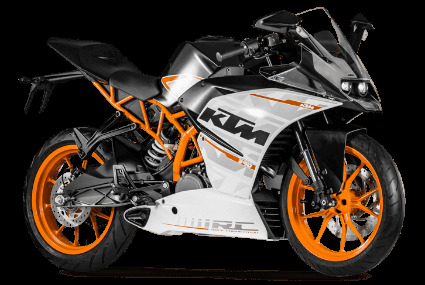 Looking To Rent Two Wheeler in Goa? Whether you need an adrenaline rush or a ride to a market place or a ride across the sea beaches, we provide all kinds of two wheelers that suits your requirement. Starting from TVS scooty to Kinetic Loona, Sport bikes, Honda splender, Honda Unicorn, Bajaj Pulsar, Vespa, Honda Activa and many more. Activa on rentis your one stop solution. Our network is spread to allover of Goa. It is Goa’s biggest bike rent service. If you download our app online we offer you a free ride for the first time. We are available for the 365 days of a year. Any time, any day we are here for your service for 24x7. All of our two wheelers are highly maintained. Our quality is our pride. Need a two-wheeler on rent? Don’t hesitate to call us.